Point 4: The Power of Exercise. Exercise is the most important part of a plan to manage stress. When you are stressed, your body is saying, “Run!” So do it. Exercise every day to control stress and build a strong, healthy body. You may think you don’t have time to exercise when you are most stressed, but that is exactly when you need it the most. If you are stressed about an assignment, but too nervous to sit down and study—exercise! You will be able to think better after you have used up those stress hormones. Some people exercise before school because they can focus and learn better. You can flip the switch from being stressed to relaxed if you know how to fool your body. Because your body can only use the relaxed or emergency nervous system at any one time, you can turn on the relaxed system. You do this by doing the opposite of what your body does when it is stressed. Here are 2 ideas. Breathe deeply and slowly. Try the 4–8 breathing technique. Lie on your back and place your hands on your belly with your fingers loose. Deep breaths first fill the belly, then chest, then mouth, the breath expands the belly and your hands pull gently apart. Take a full breath while counting to 4. Then hold that breath for about twice as long, or an 8 count. Then slowly let it out to the count of 8, or even longer if you can. This will relax your body after a few breaths, but just as importantly, it requires your full concentration. Your mind is too focused on breathing to also focus on worries. Do this 10 times and you will feel much more relaxed. Yoga, martial arts, and meditation also teach great breathing skills. When you get good at this, you can even do this in a chair during a test and nobody will know. Put your body in a relaxed position. Your body knows when you’re nervous. If you sit down to take a test and your legs are shaking, you are saying, “I want to run!” Remember, you can’t concentrate and run at the same time, so you are making it harder to take the test. Instead, take those deep breaths, lean back, and tell your body there is no emergency. When you’re angry, the natural thing to do is stand up and face someone shoulder-to-shoulder and chest-to-chest. You do this without even thinking, but this subconsciously tells the other person that you’re angry and ready to fight. It also may prevent you from thinking clearly. Do the opposite of what you would do if you were really going to fight—sit down, take deep slow breaths, and tell your body there is no danger. Then use your brain to get out of the situation. Everyone knows good nutrition makes you healthier. Only some people realize that it also keeps you alert through the day and your mood steady. People who eat mostly junk food have highs and lows in their energy level, which harms their ability to reduce stress. Instead of eating greasy or sugary foods, eat more fruits, vegetables, and whole grains—they keep you focused for a longer time. Go to www.mypyramid.gov to learn more. Most kids don’t get the sleep they need to grow and think clearly. Tired people can’t learn as well and can be impatient and irritable. Here are some ideas to improve your sleep. Go to sleep about the same time every night. Exercise 4 to 6 hours before bedtime. Your body falls asleep most easily when it has cooled down. If you exercise right before bed, you will be overheated and won’t sleep well. A hot shower 1 hour before bedtime also helps your body relax to fall asleep. Use your bed only to sleep. Don’t solve your problems in bed. When you think about all the things that bother you, you have trouble falling asleep and wake up in the middle of the night to worry more. Instead, have another spot to think, like a worry chair. 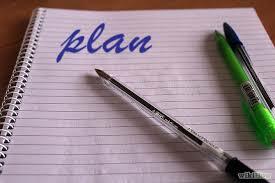 Give yourself plenty of time to think things through, make a list if you need to, and then set it aside! Go to bed to sleep. Don’t do homework, watch television, read, or use the phone while in bed.